This is a golden age for American beer. It’s never been easier to find an amazing ale, a hearty porter, or a hoppy, refreshing IPA (my personal favorite). It’s all thanks to the explosive growth of craft brewing in the United States. In 2016, craft breweries (defined as breweries producing under six million barrels per year and not owned by a larger brewer) sold 24.1 million barrels of beer – that’s 747.1 million gallons, enough to fill 95.6 billion bottles. Over 98 percent of the 5,301 brewers in the United States are craft breweries or brewpubs, which account for 42 percent of all employment in the domestic brewing industry. How did this craft beer revolution come about? The answer to that question has a lot to do with politics. 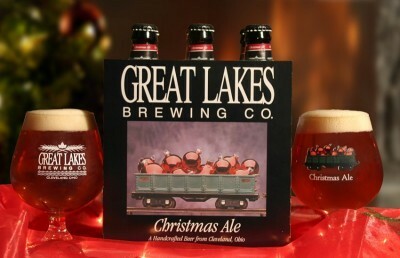 I still remember the first time I tried Great Lakes Christmas Ale – it was one of the greatest beer experiences of my life! In 1920, the 18th Amendment to the Constitution was ratified. The amendment prohibited the “manufacture, sale, or transportation of intoxicating liquors” within the United States. It also closed down the over 1,000 brewers then operating in the United States. When the 18th Amendment was repealed in 1933 breweries started to open up again, but in nowhere near their pre-Prohibition numbers. The market quickly became dominated by a small group of mega-brewers who churned out bland, insipid lagers for a mass market. This ‘beer dark age’ began to end thanks to two laws passed in 1978. The first of them lowered the excise tax on beer for small brewers (those with overall production of under 2 million barrels per year). Previously, they’d paid $9.00 in federal tax for every barrel, just like the mega-brewers. The new law cut that to $7.00 per barrel for their first 60,000 barrels. The second law repealed the excise tax on wine and beer for personal and family use, so long as you weren’t making more than 200 gallons per year (and if you need more than 200 gallons of beer per year for ‘personal and family use’, I’d say you’ve got bigger problems than an excise tax). These laws led to a renaissance in home brewing, which in turn revitalized the craft-brewing industry as first hundreds, then thousands of home-brewers thought, ‘I should do this for a living.’ Most of them were wrong about that – if you’ve tasted much home-brewed beer, I’m sure you’ll agree – but as successful homebrew entrepreneurs began to start businesses, more and more Americans discovered that beer could actually taste good. Word began to spread, and the number of craft breweries and brewpubs soared. Over the years, the federal excise tax on beer has gone up, though nowhere near as much as the rate of inflation. The current rate is $18 per barrel, which in unadjusted terms looks like a huge increase over that $9.00 rate from 1978. But in inflation-adjusted terms, $9.00 from 1978 is roughly the equivalent of $33 today, which means that in real terms the tax on beer has gone down considerably. The special rate for small brewers is still around – it’s $7 per barrel on the first 60,000 barrels. That tax, combined with various state and local taxes, accounts for about 41 percent of the price of every beer, according to an analysis commissioned by the National Beer Wholesalers Association. Congress has definitely taken notice of the growing interest in craft beer. Both the House and Senate have formed Small Brewers Caucuses, with 226 members in the House and 37 in the Senate. Recently, there’s been a bipartisan push in Congress to lower the federal tax burden on craft brewers. The latest effort, was the Craft Beverage Modernization and Tax Reform Act of 2017 (S.236 / H.R. 747). It was introduced by Senators Ron Wyden (D-OR) and Roy Blunt (R-MO) with a companion bill in the House introduced by Representatives Erik Paulsen (R-MN) and Ron Kind (D-WI). The legislation called for the excise tax to be reduced from $7 all the way down to $3.40 per barrel on the first 60,000 barrels for small brewers, along with a reduction in the standard excise tax from $18 to $16 per barrel. This bill was rolled into the recently passed House and Senate tax reform legislation, with one small change – the lower rate for craft brewers was changed to $3.50 per barrel. More important to brewers is that it’s not a permanent tax cut. Under both the House and Senate versions, the lower rates only apply to beer ‘removed for consumption’ between January 1 of 2018 and December 31 of 2019. Why only a two-year cut? One reason is the deficit. Almost all independent and nonpartisan estimates of the tax bills conclude that they’ll add a minimum of $1 trillion to the national debt (currently at $20 trillion plus) over the next decade. Not only do Republicans in both chambers want to keep this number as low as possible, but the Senate can’t approve legislation with more than a $1.5 trillion increase if they want to use reconciliation rules, which prevent a Democratic filibuster. Another reason is that when Congress makes tax cuts temporary, the industry benefiting from the cuts will almost certainly come calling when the cuts are due to expire, usually with campaign contributions. The House-Senate conference committee kept the reduced excise tax, and given the near certainty of the bill becoming law, brewers will soon be getting a sizable tax break. Conservatives argue that this is a good thing, believing that reducing the tax will create even more growth in the brewing industry, boost employment, and result in more, better, and less expensive beer. Many liberals counter that the industry is growing just fine without extra incentives and that, if anything, taxes on alcohol should be increased. According to economist Adam Looney of the left-leaning Brookings Tax Policy Center, the tax cuts for alcohol producers would not only lower federal alcohol tax revenue by 16 percent, leaving it at a rate not seen since 1950, but would lead to an increase in drinking that would ultimately result in over 1,500 additional alcohol-related deaths every year. I’m old enough to remember the days when good beer was hard to find, and I’m glad Congress acted back in 1978 to help the cause of good beer (a truly noble cause, in my book). But now that there’s a thriving craft beer industry in the United States, I think the potential benefit of even greater tax cuts is outweighed by the effect those cuts will have on the national debt ($20 trillion and growing) and the role they’ll indirectly play in more alcohol-related deaths. “National Beer Sales & Production Data,” Brewers Association, accessed December 5, 2017, https://www.brewersassociation.org/statistics/national-beer-sales-production-data/. “Historical U.S. Brewery Count,” Brewers Association, accessed December 13, 2017, https://www.brewersassociation.org/statistics/number-of-breweries/. Alistair Williams, “Exploring the Impact of Legislation on the Development of Craft Beer,” Beverages 3, no. 2 (March 28, 2017): 18, https://doi.org/10.3390/beverages3020018. TAD NRC, “TTB | Tax Audit Division | Tax and Fee Rates,” Data & Tools, accessed December 5, 2017, https://www.ttb.gov/tax_audit/atftaxes.shtml#Beer. John Dunham & Associates, “A Study of the U.S. Beer Industry’s Economic Contribution in 2016,” May 2017, http://beerservesamerica.org/wp-content/uploads/2017/05/2017-Beer-Serves-America-Report.pdf. “House Small Brewers Caucus Members,” Brewers Association, accessed December 13, 2017, https://www.brewersassociation.org/government-affairs/house-small-brewers-caucus/house-caucus-members/. “Senate Bipartisan Small Brewers Caucus Members,” Brewers Association, accessed December 13, 2017, https://www.brewersassociation.org/government-affairs/senate-small-brewers-caucus/senate-caucus-members/. Kevin Brady, “Text – H.R.1 – 115th Congress (2017-2018): Tax Cuts and Jobs Act,” webpage, December 4, 2017, https://www.congress.gov/bill/115th-congress/house-bill/1/text. Adam Looney, “Measuring the Loss of Life from the Senate’s Tax Cuts for Alcohol Producers,” Brookings (blog), November 22, 2017, https://www.brookings.edu/research/measuring-the-loss-of-life-from-the-senates-tax-cuts-for-alcohol-producers/. This is especially interesting to me, living in Wisconsin, and only miles from the New Glarus Brewing Company. I’ve been amazed at how quickly they’ve taken off, and I don’t think there’s a bar or restaurant in at least the southern part of the state that doesn’t serve one or more of their beers, along with the grocery stores, gas stations or anywhere else that sells beer. They started out as a fairly small brewery and now have grown and added another, much larger facility just up the road. It was even started and is still owned by a woman! And business is great!! Apparently, New Glarus beer is only sold in Wisconsin (reminds me of Coors), which makes it that much more sought after. (Isn’t marketing great?!) Of course, maybe that has something to do with taxes, as well. A favorite (and I don’t agree) is Spotted Cow, which is probably because most of our dairy cows are those black and white Holsteins. The average price for any of their beers is about $8 for a six-pack. I happen to live in Monroe, and we have our own brewery, Minhaus Craft Brewery. It doesn’t have quite the same cache as New Glarus, but they put out some decent beer. Minhaus was originally the Blumer Brewery and then Joseph Huber Brewing Company, but it is the oldest brewery in the Midwest and the second oldest in the U.S. Along with that Minhaus now has a distillery (that seems to be the next step). It is amazing how many places like New Glarus and Minhaus have popped up all over the country. We had a place open up about a five-minute walk from our front door just this summer, and from what I can tell, business seems to be booming! Quite a change from my youth, when everyone drank Budweiser, MIller Lite, or various other truly tasteless brews.